The tag line of the New York Times’ classic travel feature “36 Hours In . . .” is “what to do when you’ve 36 hours to get to know a city.” This is a similar feature, except this is about what I do when I have just 48 hours to revisit a city that I know and love. It may not be exactly NYT worthy*, but to me, this is a perfect way to spend two days in Florence. 1. Wine Bar Lunch | 1 p.m.
Coquinarius has long been my favorite little lunch spot in Florence, discovered when studying abroad in Florence for the first time in 2000, not long after it first opened. Technically an enoteca, the menu has all of the meat and cheese plates and crostini that you would expect of a wine bar. It also has plenty of creative pasta dishes and piatti unici (single plate meals) that you won’t find at your typical Florentine restaurant. 2. Trendy Coffee | 3 p.m. 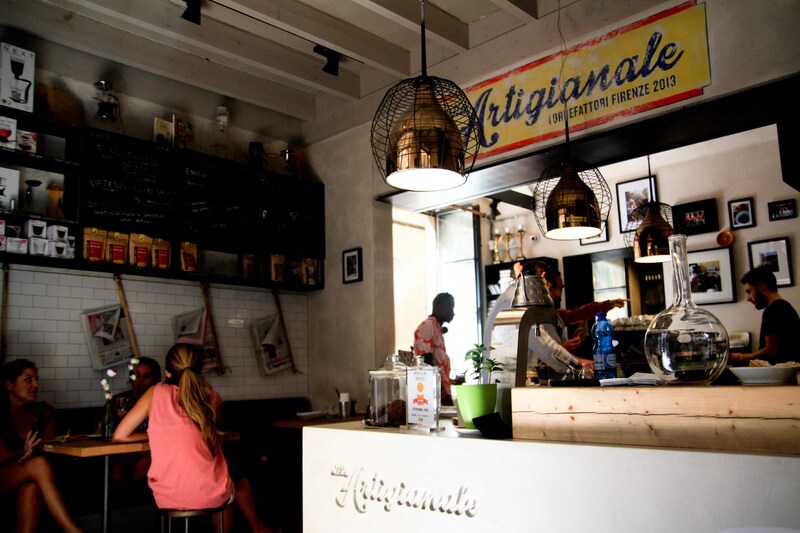 When you step inside Ditta Artigianale you might think that you’ve somehow been transported through time and space to Brooklyn with the white subway tiled interior and chalk boards advertising cold brew coffee and french toast. (The full bar behind the La Marzocco is a hint you’re still in Italy.) Since I can get great espresso and cappuccino all over Florence, I decided to go with something a little different: Espresso Tonic. The Espresso Tonic is a newish fad among trendy coffee bars. I liked this Italian version with just a splash of tonic water more than other versions I’ve tried. 3. Classic Aperitivo | 7:15 p.m.
With a little time to kill before meeting my friend for dinner I decided to stop by Gilli for a little aperitivo. My aunt introduced me to this Florentine institution in Piazza della Repubblica on my very first trip to Italy in 1997. Whenever I am in Florence I always make it a point to have a prosecco at the bar. Perfect for people watching and perfect for getting a little snack to tide you over before dinner. 4. Cross Over to the Oltrarno | 8:00 p.m. I met my good friend Janú in Piazza della Repubblica and we took a walk over the Ponte Vecchio stopping briefly to listen the the street musicians on the bridge and soak up the lively atmosphere of a summer night in Florence. 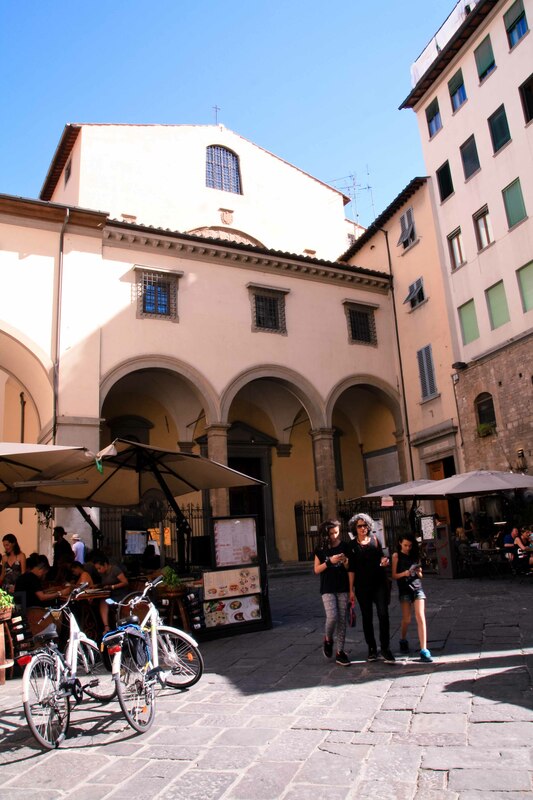 Then we continued on to Piazza Santo Spirito where I left my heart so many years ago. 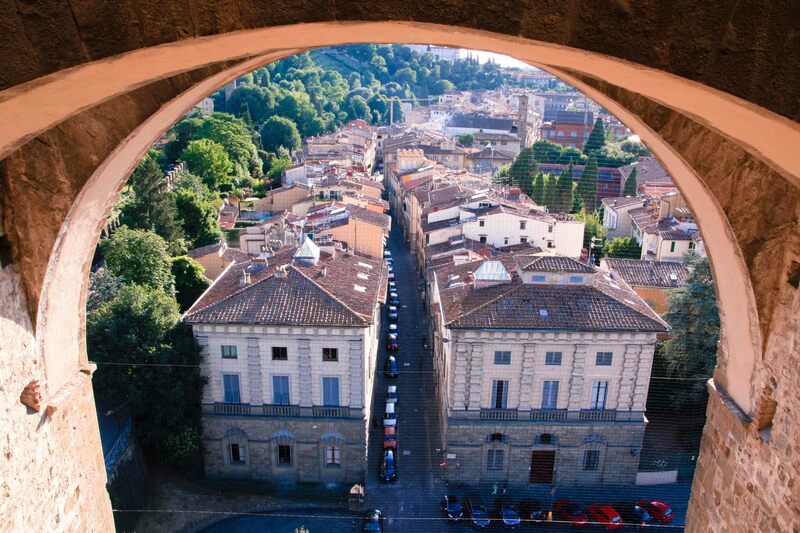 Although I have lived in various neighborhoods in Florence over the years, the Oltrarno will always be “my Florence.” Oltrarno can be translated as “the other side of the Arno.” Less touristy and more neighborhood-y, it has a local feel that you don’t get on the other side of the river. 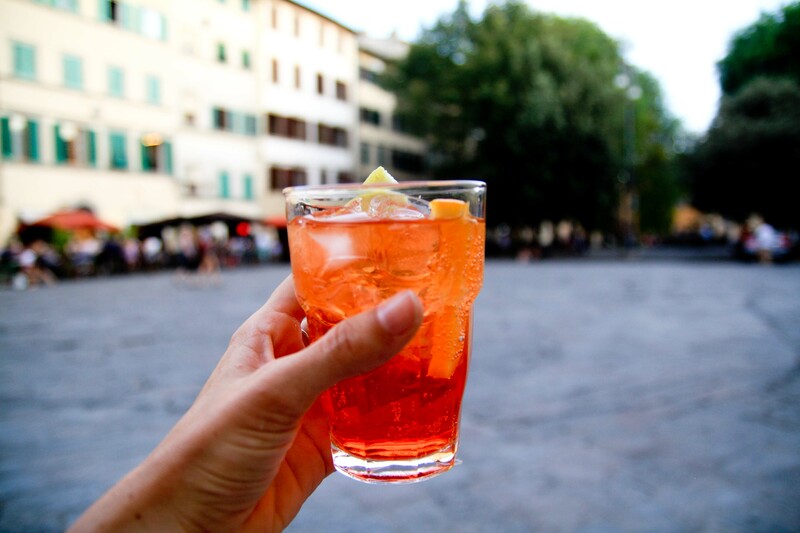 Janú and I grabbed two Aperol Spritz from a bar in the piazza and sat on the steps of Santo Spirito catching up, listening to the impromptu guitar playing of young locals, and people watching with his dog Lila by our side. 5. Dinner at an Old Favorite | 9:30 p.m.
Borgo Antico in Piazza Santo Spirito is a restaurant that I always come back to, and not only because I worked there one summer back in college. The food is delicious and the atmosphere is always lively, especially if you get a table in the piazza. 6. 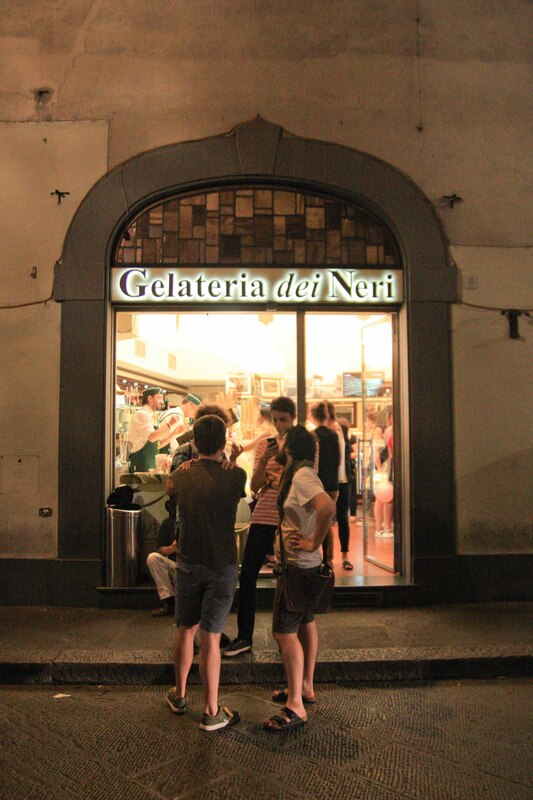 The Best Gelato in Town | 11:00 p.m.
Everyone has their own personal favorite in Florence, but I still think the gelato at Gelateria dei Neri is the best in town. I recommend trying the riso (rice) flavor, a white gelato with chewy grains of rice throughout. I can never find it outside of Florence so I always make sure to get it while I’m in the city. I like to pair it with something decadent like chocolate or coffee. 7. Get in a Good Workout | 8:30 a.m.
What’s that they say about good intentions? Well, I had the best of intentions when I planned on checking out a CrossFit Box while in Florence. I looked up a couple of options online and settled on CrossFit Iris because of the class schedule and location. What I didn’t do was call in advance to let them know I was coming. Unfortunately when I got there they were closed for holidays or something. Sad face. 8. Consolation Breakfast | 9:30 a.m. Since my morning workout was a fail I thought I should at least go for a healthy breakfast. I grabbed a nice window seat at Ditta Artigianale and had a cold brew coffee and yogurt with fresh fruit and granola. 9. A Palace and the City | 11:45 a.m. I always like to try to do at least one new thing each time I visit Florence. All around the city I had been seeing advertisements for the exhibition Un Palazzo e La Città and I knew it was time for me to finally check out the Ferragamo Museum. 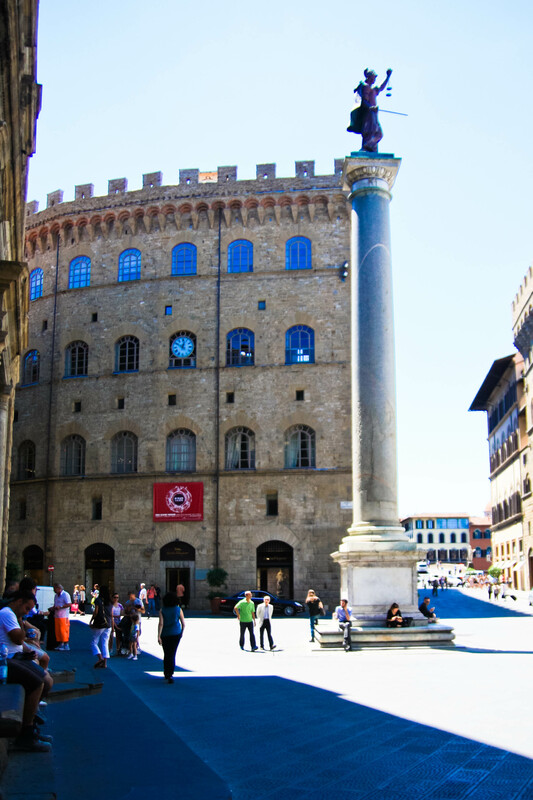 The museum is housed on the bottom level of the Palazzo Spini Feroni below the Salvatore Ferragamo flagship store. Once inside the museum there is a small permanent exhibition about Ferragamo and his shoes, but the majority of the museum was dedicated to the history of the palace and its role in the history of the city of Florence. The temporary exhibition has everything from paintings, to historic documents, to a video installation documenting 24 hours in the life of the palazzo. The exhibition is on until April 3, 2016, but even if you can’t make it to Florence, you can still watch the video here. 10. Casual Lunch | 1:00 p.m.
11. 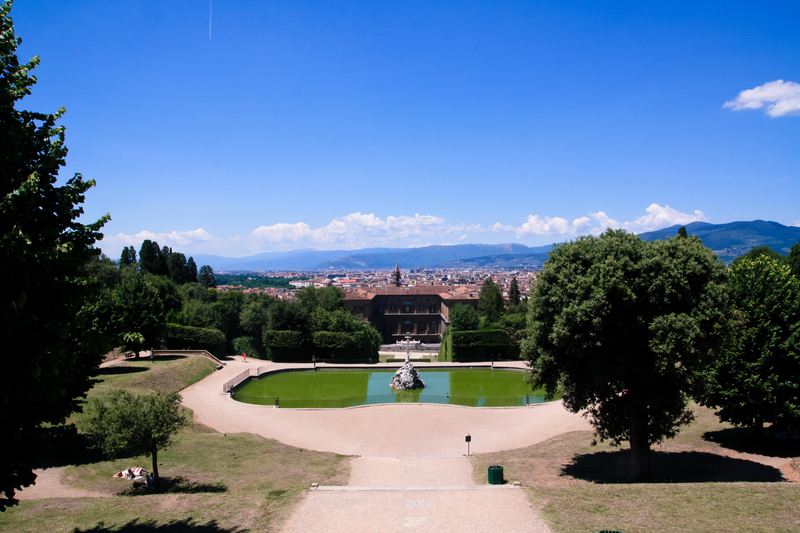 Relax with a View | 2:00 p.m.
There’s no better way to beat the afternoon heat in Florence than by heading to the Boboli Gardens to relax in the shade while admiring the view. I came prepared with a little blanket and a good book and stayed well over two hours. If you’re up for it you can wander the extensive grounds and even take a peek inside the newly reopened Kaffeehaus. 12. Art History Revisited | 4:45 p.m. Heading back towards the Ponte Vecchio from the Boboli Gardens I decided to pop into Santa Felicità to have a look at Pontormo’s Deposition (1525-28) which I hadn’t seen in ages. I must say I sometimes have a little nostalgia for my study abroad years in Florence, and I can clearly remember the rainy day my art history class crowded around the corner chapel to look at the painting that graced the cover of our Baroque and Mannerism text-book. I gladly paid the 1€ to light up the Capponi Chapel for a few minutes and then had a look around the rest of the church which has plenty of other artwork to admire. 13. Wine Break | 5:30 p.m.
From the Ponte Vecchio it’s a nice walk along the Arno to the neighborhood of San Niccolò. 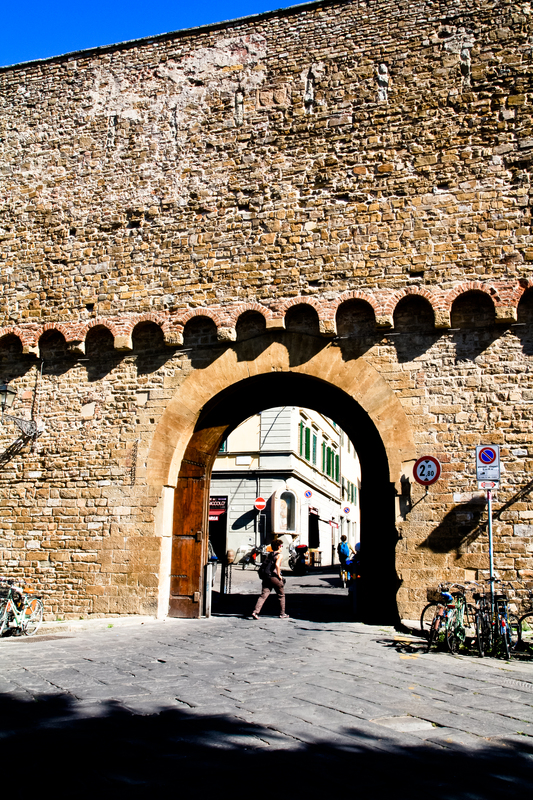 This area has become a lot more crowded and trendy in recent years and there are plenty of bars, restaurants, and enotecas to choose from, but I’m still partial to Fuori Porta which, as the name implies, you’ll find just outside the gate to the old city walls. A glass of wine and a meat and cheese plate is the perfect thing to keep you going until dinner. 14. A View of Florence | 6:30 p.m. 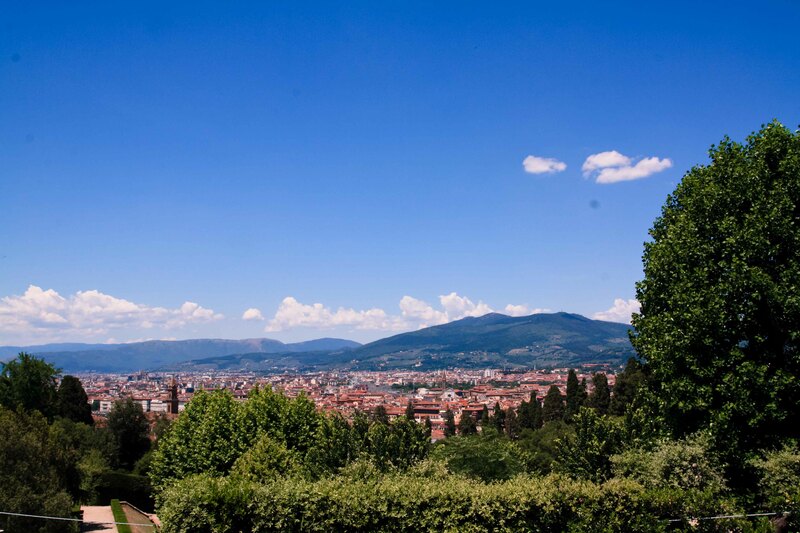 Most people trek all the way up to Piazzale Michelangelo to get a great view of Florence. 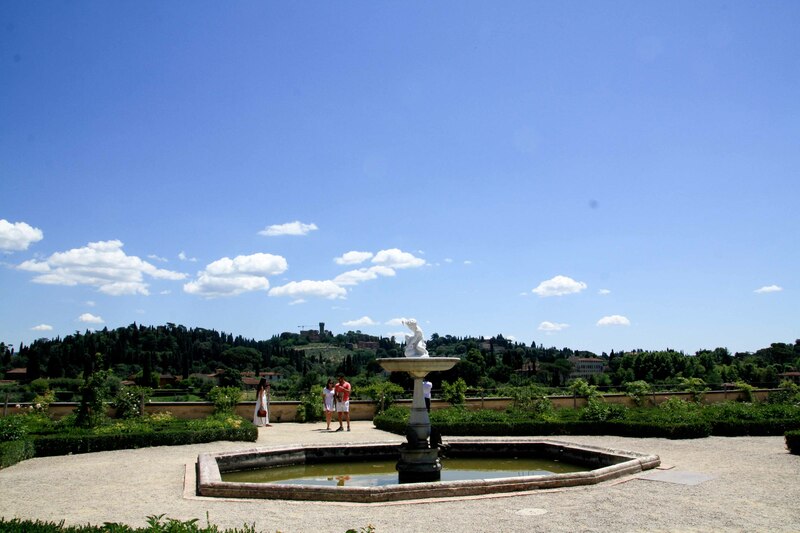 In the evening you can get the same view with less trekking by climbing to the top of the Torre di San Niccolò. The price is around 3€ and a guided tour is included. 15. Eccolo qua! | 8:30 p.m.
For my final meal in Florence, my friend Lorenzo took me for dinner at Obicà Mozzarella Bar on Via de’ Tornabuoni. This was a new treat for me as it wasn’t around when I lived in Florence. While the restaurant itself is stunning and a worthy setting for a five-star restaurant, the menu is casual and based around the star ingredient: Mozzarella di Bufala di Campana. 16. One Last Coffee | 9:00 a.m.
As is becoming a new tradition for my visits to Florence, I made a quick stop in Piazza della Repubblica to have breakfast with my friend Janù before heading to the station to catch my train. We had a cappuccino and cornetto at the historic Caffè Paszkowski before saying our goodbyes. So long, Florence, until we meet again. *I take it back, this is totally New York Times worthy. What a wonderful two days in Florence! Someday, I must go back there.